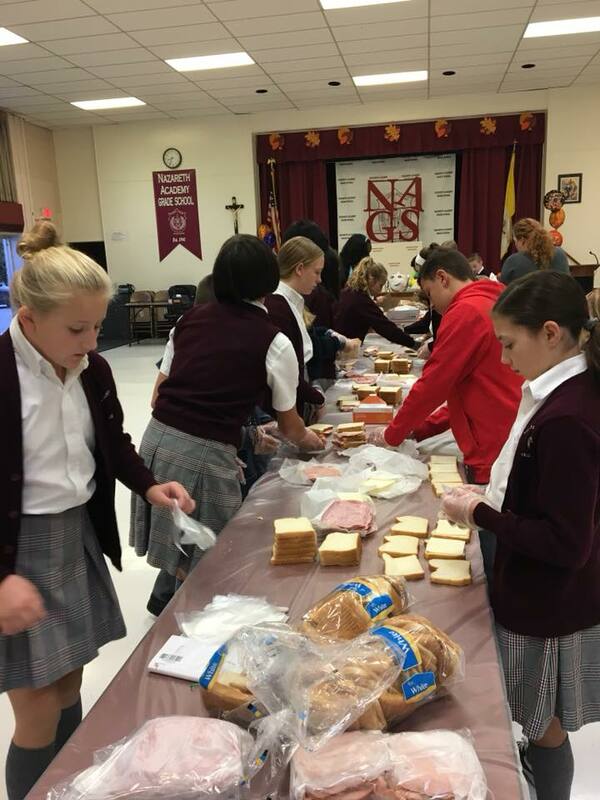 Nazareth Academy Grade School faculty and students find great satisfaction in planning and participating in community service events. 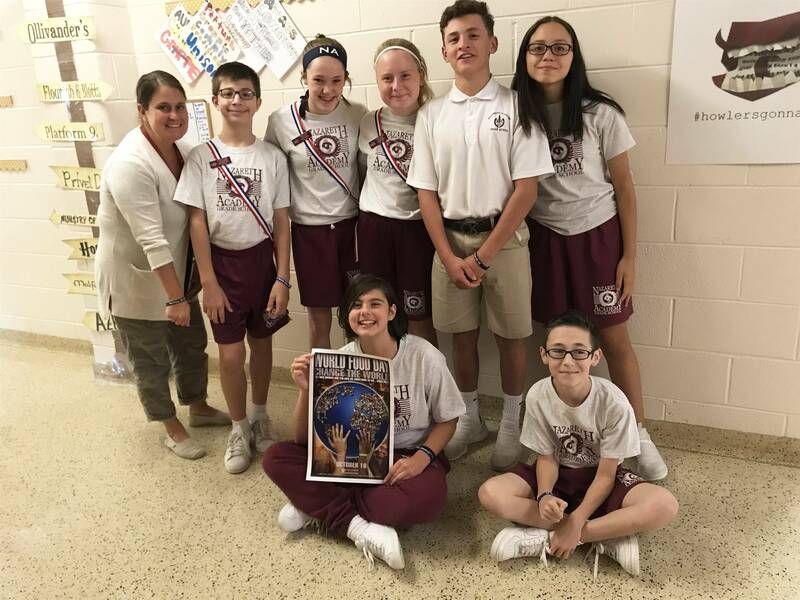 Properly implemented, service learning projects develop citizenship, responsibility and many other positive virtues making this a highly effective character education program in and of itself. Nazareth partners with many institutions, organizations and corporations to further promote the message of the school's mission statement. 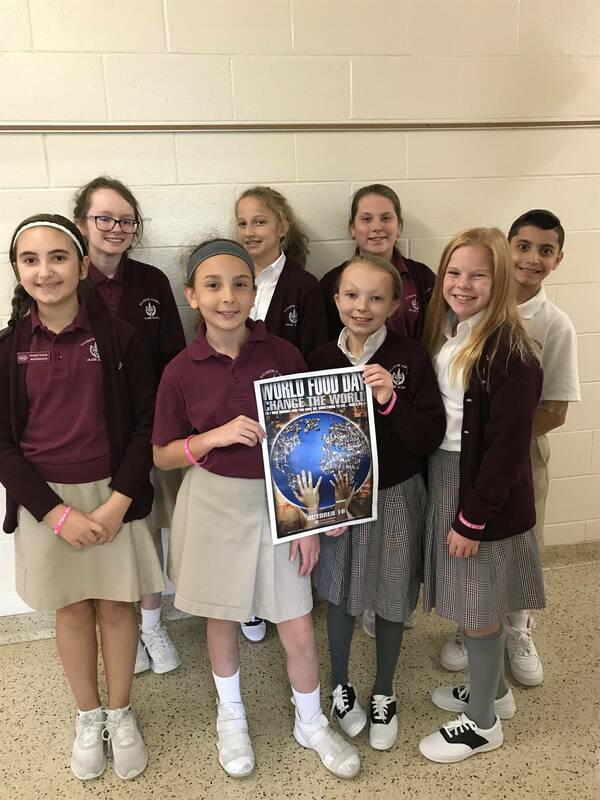 On the first Monday of each month, Nazareth Academy Grade School has made a commitment to the people served by St. Francis Inn in Philadelphia. 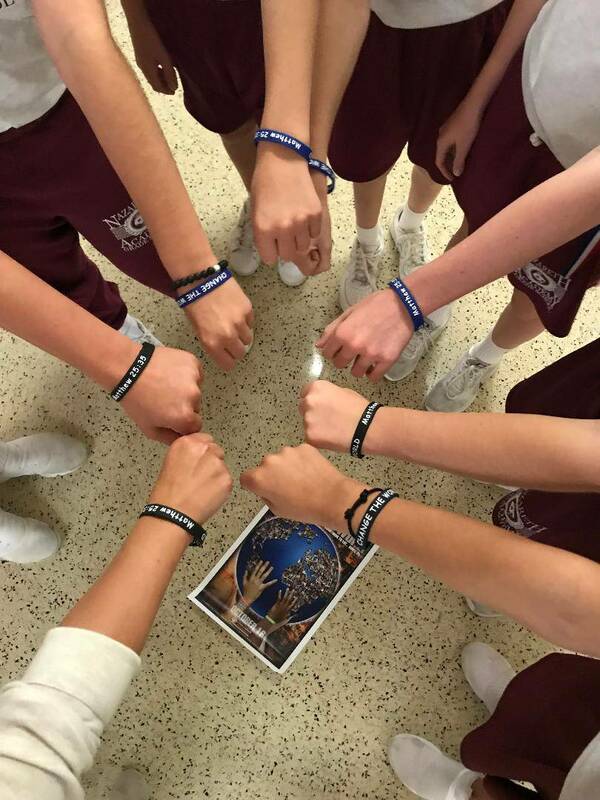 This program is part of our Middle States Project: Faith in Action: Rooted in Catholic Values. Food is purchased using contributions donated by students in grades 4, 5, 6, 7, and 8th grades. Our sixth grade oversees the making of the lunches by students and volunteer parents who prepare the lunches in the Multi-purpose Room before our morning prayers. Students in grades 1, 2, and 3 prepare lunches at home with their families and bring them to school on the First Monday of each month. These lunches should include TWO meat/cheese sandwiches, a sweet treat and fruit (no beverage). The clients served by St. Francis Inn are appreciative and dependent on our generosity. For some people, this is the only meal that they receive for the day. These meals feed men, women, and children, many of whom are homeless.